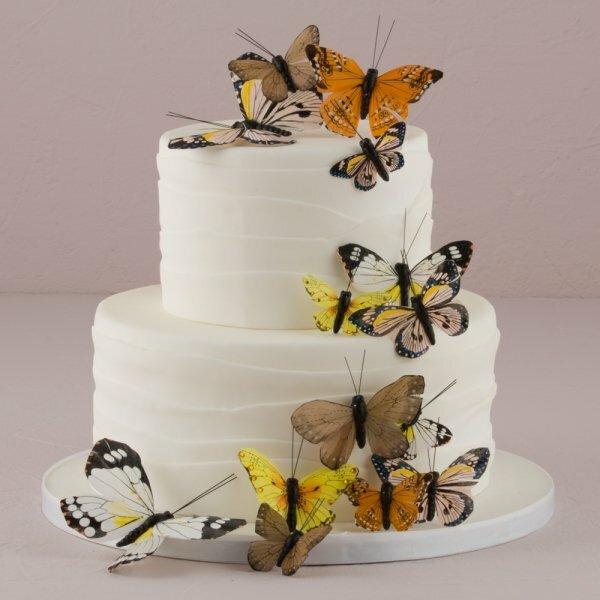 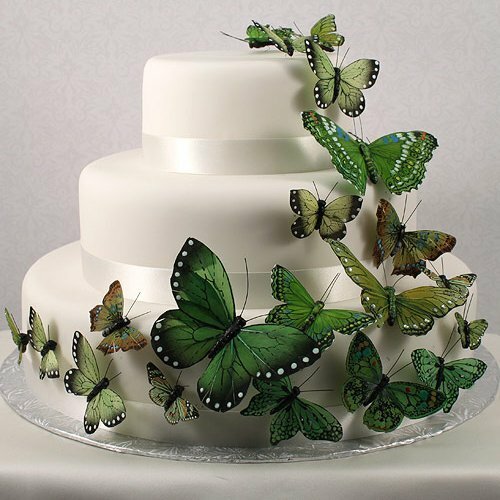 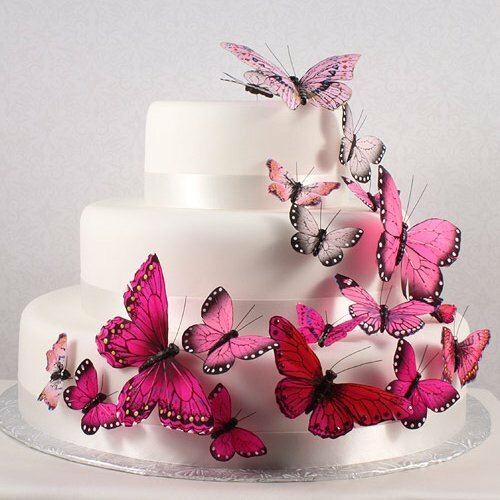 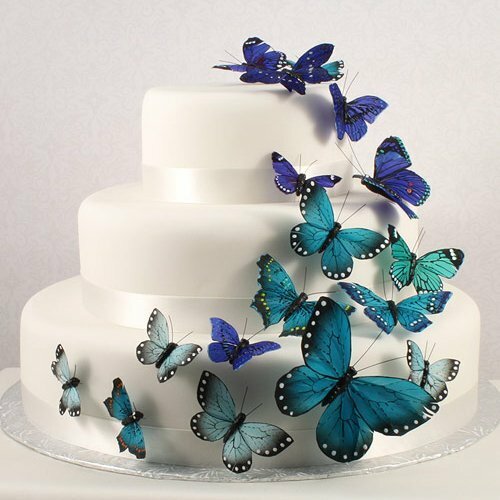 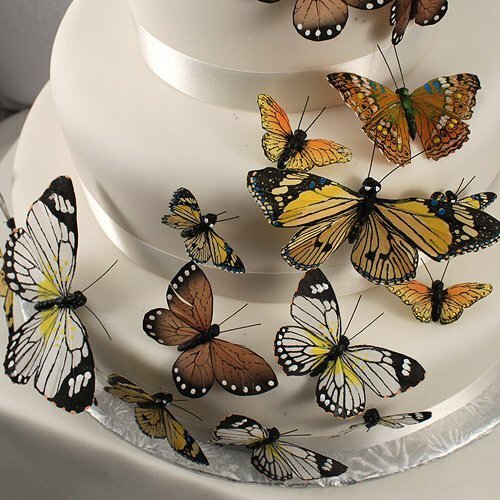 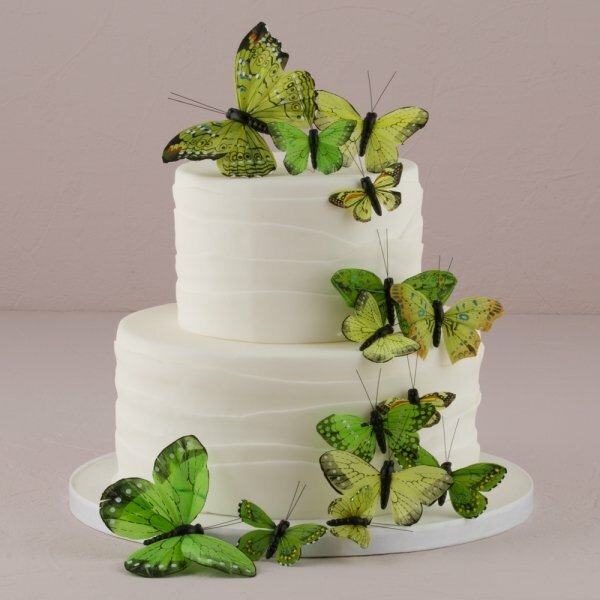 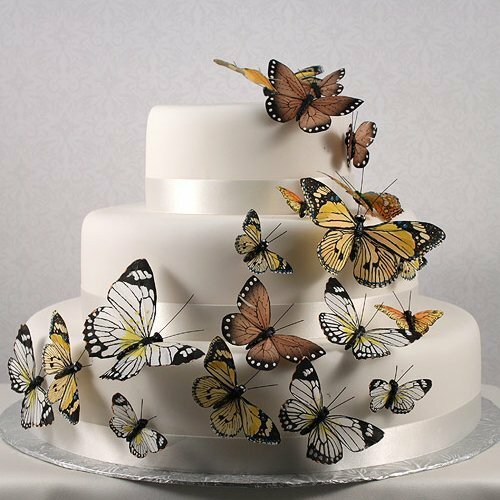 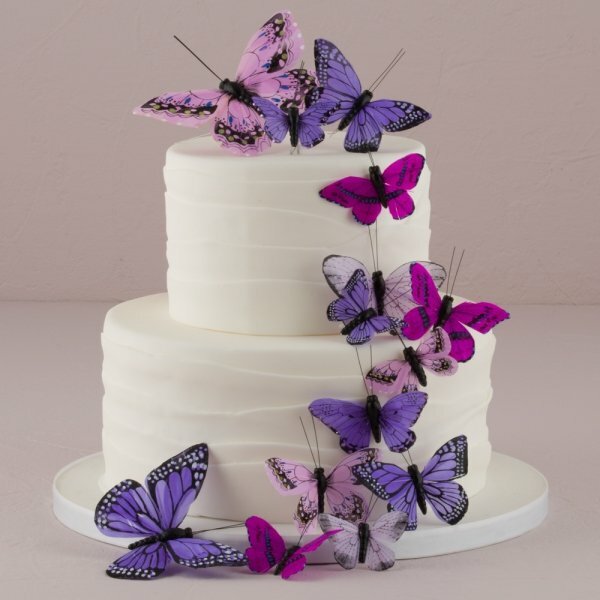 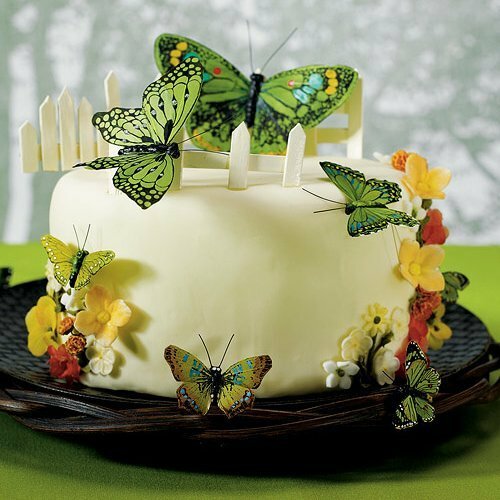 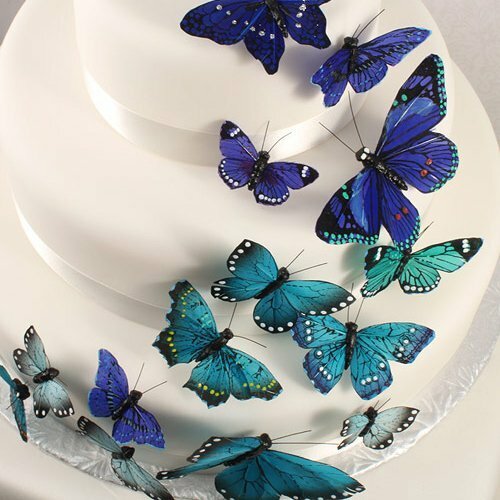 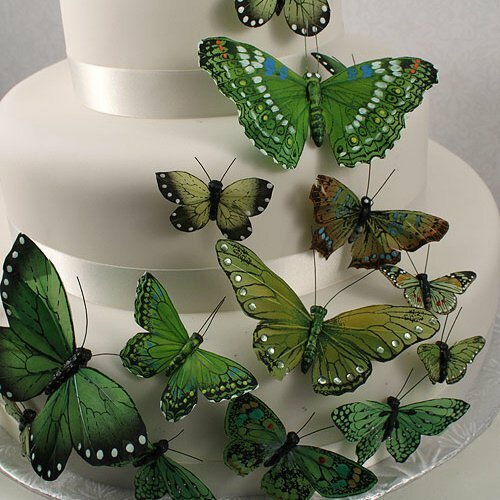 Bring the stunning flight of the butterfly to life with our Beautiful Butterfly Cake Sets. 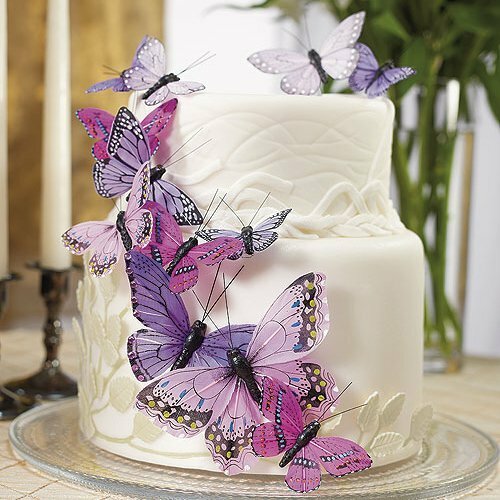 Each set contains 24 dazzling butterflies in an assorted of complementary colors, designs and sizes to create a delicate fluttering effect. 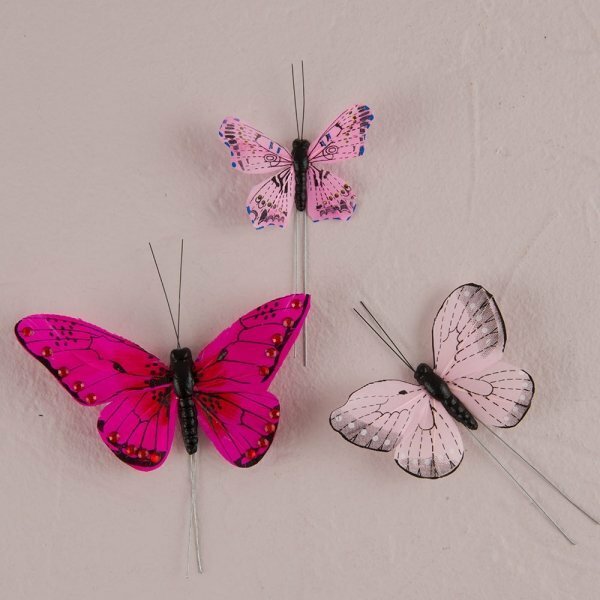 Each butterfly is made of hand painted feathers with some sparkling crystal accents and are set on a delicate wire for easy decorating. Butterfly sets are lovely for layer cakes, cupcakes, or anywhere that could use a special touch. 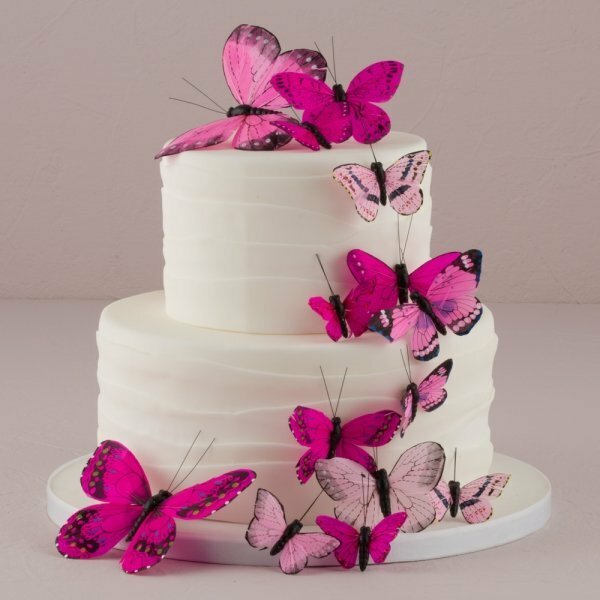 Available in Pink, Blue, Green, Purple or Natural colors. 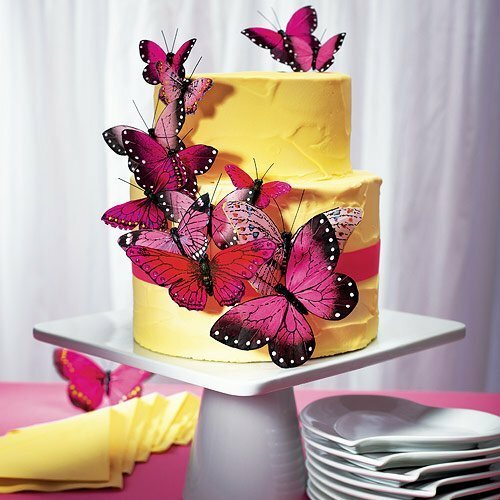 Note - This item includes a personalization, color, size or design option: Color (View Colors) (Free of charge). 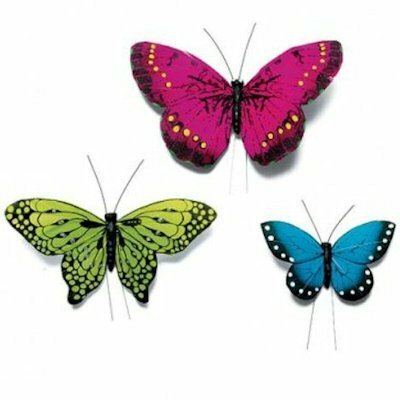 You may specify this information during our checkout process. 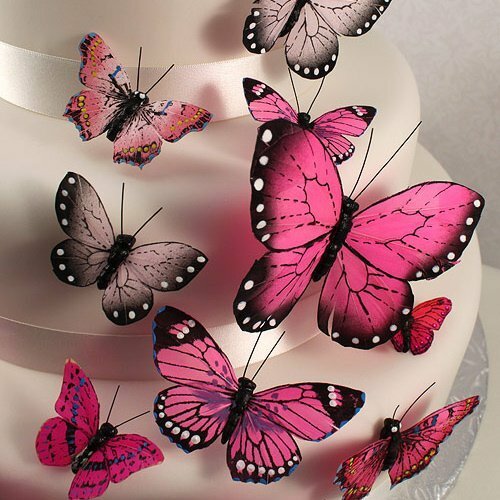 Do these butterflies come in an assortment of colors per order or do I need to order each color I want individually? 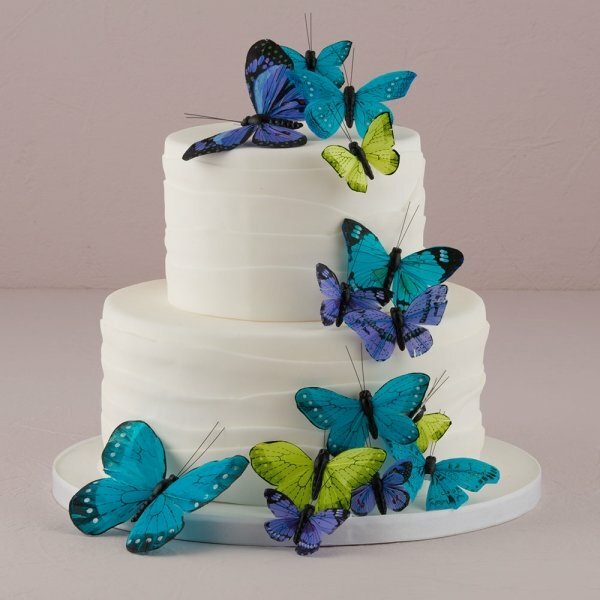 We don't have assortment available for the Beautiful Butterfly Cake Sets - 5 Colors. 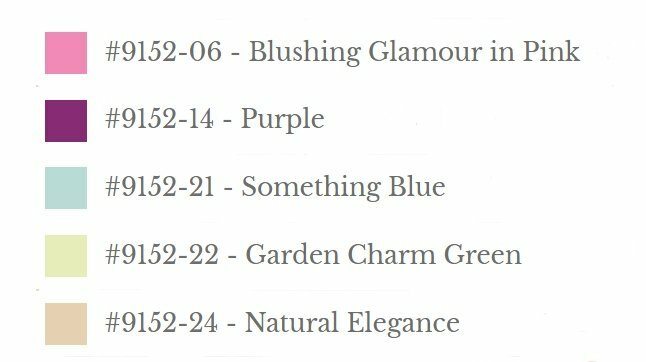 You can only pick one color and if you want to have different colors then you will need to add them as separate items in your shopping cart.